In this 10 minute read you’ll understand why CRM is important, yet you shouldn’t use CRM software. But first, to truly understand the why, let’s get some insight into the nature of CRM and CRM software. CUSTOMER RELATIONSHIP MANAGEMENT (CRM) by the most straightforward definition is a process of managing customer relations in your business. CRM could also stand for a mindset, an approach or a software solution. According to the latest State of Inbound report, 40% of salespeople still use outdated means such as spreadsheets or mailboxes to store their lead and customer data, and 18% of salespeople do not even know what CRM is. Well, I hope you are not one of them. Every business leader, manager and sales consultant needs to have an understanding and overview of CRM – the principles, processes and benefits of using various software solutions to amplify their efforts. If your company has a sales team, uses marketing in any form, creates quotes and invoices, has a complex buyer process – you will undeniably benefit from having a centralised system. But is CRM-oriented software solution your only option? 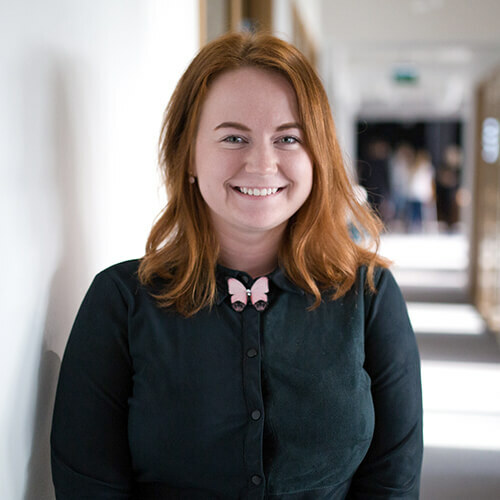 A common misconception is to look at CRM as only a tool or a software system used by the sales team – entering data, tracking the customer pipeline and creating sales reports. CRM does not refer only to a tool – it is also a strategy and a mindset. One of the most important aspects of Customer Relationship Management is to create a standardised set of activities and processes to make sure every potential customer will get the same level of excellent service, information and consultation. You can do it the old-school way – on paper or in a spreadsheet, but using CRM software will enable your whole team to cooperate in the most efficient and fluent way. Start with defining your principles, values and actions to create the core of your customer communication strategy. 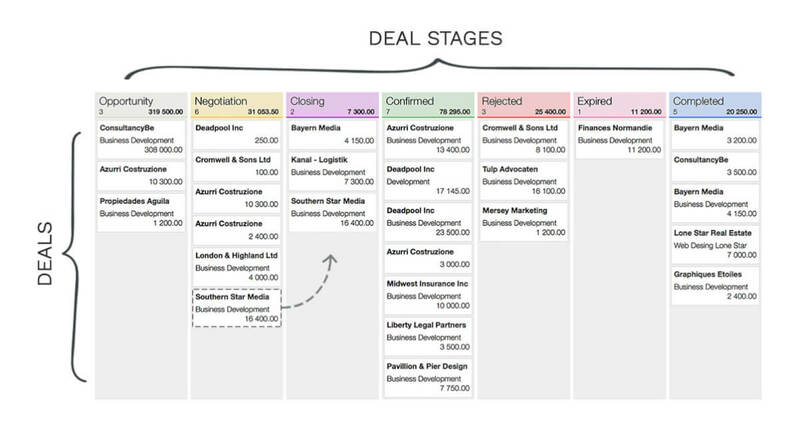 Map out all the stages and steps your customer passes from the first hello to the final invoice. Create the set of touchpoints and activities your salespeople will use to help the customer pass the stages with ease. Write down the rules of communication, such as the limits of autonomy and decision-making hierarchy. Create templates and examples for customer use cases, sending proposals and follow-up emails, conducting meetings, etc. Keep in mind – CRM software will make the processes more transparent and help you maximise your efforts, not do the work for you. There is no such software that can inherently make your sales consultants more productive nor boost your sales if you do not have a strong core system and set of principles in place. CONTACT DATABASE is the most important and basic function of CRM software. It stores all information about your prospects and customers. In addition to their name, email and phone number, you can choose to add any details about the contact relevant to your business. CRM software allows you to use filters to search a specific segment of customers based on configurable tags, categories, locations, latest activities, etc. So make sure you think through all the information you need to have about a contact, but do not clutter the database with details which are nice to have, but not really helpful. An extremely useful bundle of data is the activity and communication log of every contact. You can note down all emails, phone calls, feedback, meetings and other interactions your team members have with a potential customer. Instead of spending unnecessary time to go through your mailbox searching for the latest emails or trying to recall some small piece of information, you can have it all collected into a simple system. Having a centralised database will also improve your communication drastically. 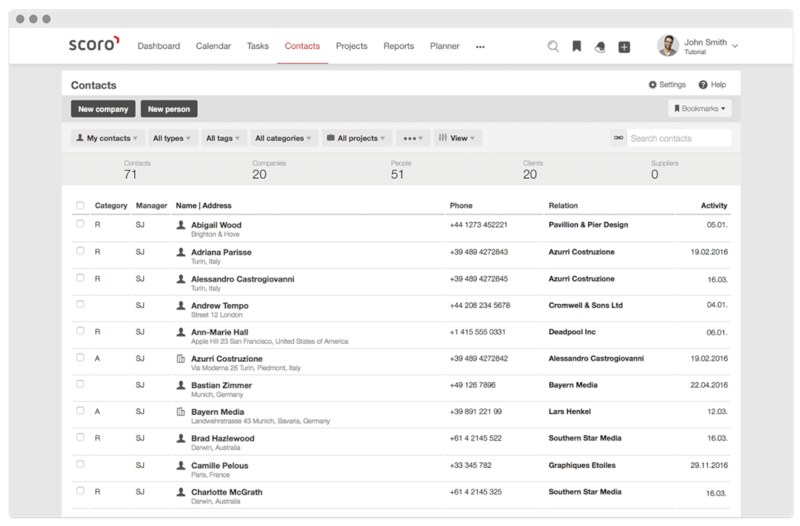 All team members can easily see every contacts history and next steps. There is no need to reach out to other team members or customers to ask the same information once again. Your sales team can also set notifications for meetings and tasks – never miss a scheduled appointment. SALES PIPELINE is a great way to get an instant overview of your prospects. Most typical sales stages are – new opportunity, initial communication, follow-up communication, negotiation, confirmed and completed. But as we know, most new opportunities will not become customers, so you might also want to track in which stage the communication was lost and mark the reason why. Every company has their own sales process and customer journey steps, so do not make the mistake of using the pipeline template. Modify the sales pipeline stages (they can also be called deal stages) to fit your company’s processes. 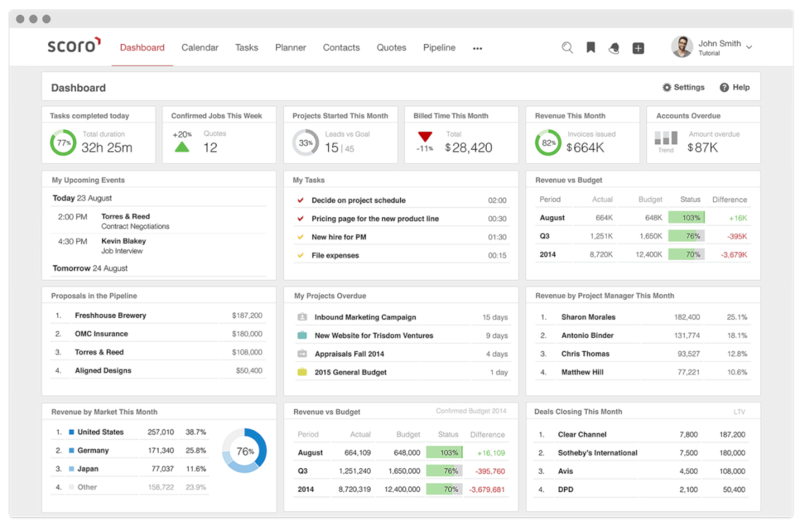 DASHBOARDS will enable you to have an instant visual of your progress with using various metrics. Setting metrics and especially Key Performance Indicators (KPIs) is important for any plan to succeed. A metric is a numeric value that indicates whether your team/company is reaching its targets. KPIs are the metrics, ratios and business indicators which are most valuable and critical for certain goals to be achieved. Read on: What is a KPI? Using different metrics and goals you can create dashboards which reflect the status and progress of the whole sales team and/or personal dashboards for each team member. Add your KPIs and other metrics, a quick view of your calendar, tasks and meetings, set personal and team goals and see the real-time status. REPORTS allow you to easily analyse data to make better business decisions. Getting a complete overview of the visual sales pipeline or assessing the time allocation from work reports can make your and your team’s everyday work much more productive. As all processes are standardised and data entries unified in the system, it is easy to filter, combine, and analyse necessary information. Some examples of relevant reports you can use are sales team’s activity log summary, sales performance report, personal performance reports, sales cycle length report, sales conversion reports for each sales stage. Outbound sales is no longer the main source for initiating customer communication. There might be several other teams and people involved in the customer’s journey from being an interested visitor to becoming a happy customer. Of course, your sales team will have the most direct contact with your potential customers. But an inbound marketing strategy will provide your sales team with a steady stream of warm leads who already have had a few interactions with your brand and product. Only 29% of people want to talk to a salesperson to learn more about a product, while 62% will consult a search engine. After negotiations and signing the contract, your customer might need further help from the onboarding team, customer support specialists, or maybe they need to be handed over to a project manager or an account manager. They also need to access the same customer database to see all the previous activities to make the customer journey flow as fluent as possible. As a cherry on top, it would also be convenient to have the billing and invoicing solution linked with the customer database. This in mind – you might find it important to re-evaluate your Customer Relationship Management process and find tools to support it as a whole. The limited functionality of a simple CRM tool doesn’t seem to be enough anymore. Either you are currently using spreadsheets and PDFs to manage your customers, team members and business, or you are trying to figure out how to integrate different software and tools to work as an integral system. Let’s look into two possible scenarios of your next steps. Let’s say you are a medium-sized company with 20 people in the professional or creative services industry. You are already using some tools such as Dropbox and Google Drive for document sharing, but want to have a better system for your customer database, relationship management and work planning. For CRM – it is quite hard to make a decision between hundreds of different solutions on the market, but Pipedrive, SalesForce and Hubspot seem to be ranking on software listing sites. In addition to CRM software you need something for time tracking, quoting and billing – so you look into Toggl for time tracking, Proposify for quotes and think about the easiest way to integrate your current accounting software. For project management and tasks – there are overwhelmingly many options, so after a mild breakdown, you pick out Basecamp, Asana and Wrike. For tracking your metrics on a dashboard – based on top rankings on listing sites, you pick out Klipfolio and AgencyAnalytics. Now you have a list of tools and you start doing trials and requesting demos to understand more about each tool. You end up with a two-month-long process to make some final decisions and start thinking about an implementation plan. Work management by definition is a set of processes, procedures, and tools to help you plan, manage and evaluate the whole workflow. For decades, the business software and applications market has been filled with single-feature and niche tools. 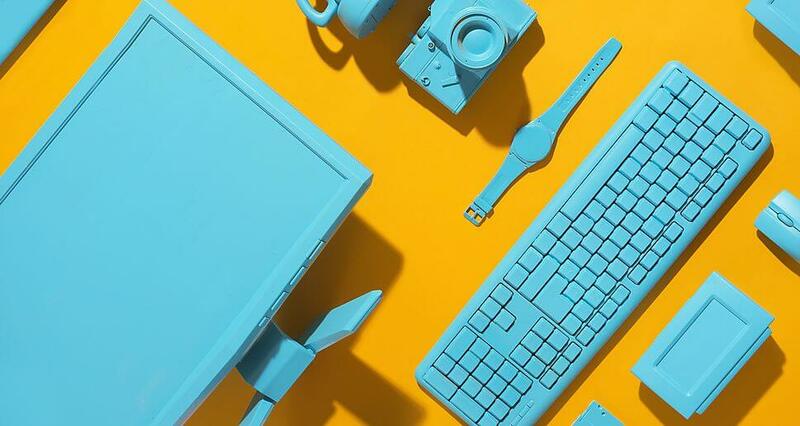 On the one hand, they might be perfect for a specific function, but you have to struggle to create a comprehensive system, which pushes and pulls data from one tool to another to have a fluent workflow and complete overview of your business. Read on: 20+ Best CRM Software & Tools. Reviewed. A robust work management software offers you a lot of opportunities already built in the system and allows you to easily integrate other tools you might need. CRM – Customer database, sales pipeline, detailed contact information with an activity log, sales forecasting and reporting – all the features you will need from CRM software. Quoting & billing – You do not have push and pull information – have quoting and invoicing PDF templates already integrated into your system. Automate simple tasks such as sending scheduled or recurring invoices and reminders. Project management – Do you need to link your customers with certain projects? 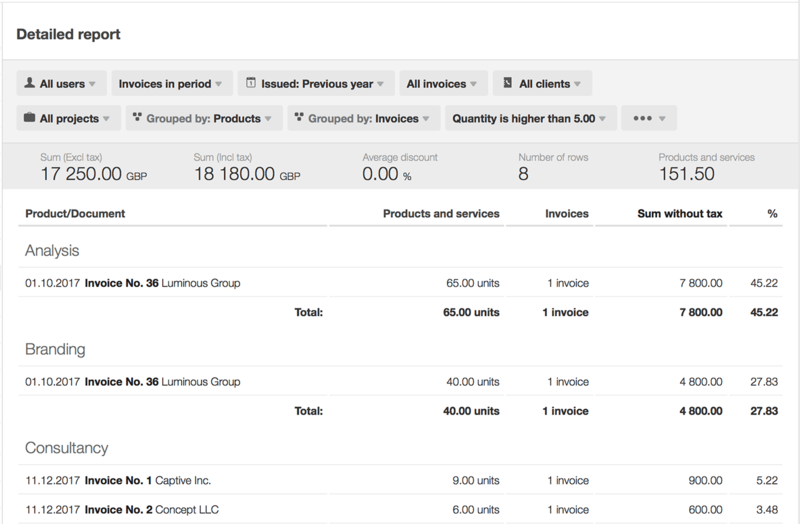 Do you need to track billable (and non-billable) time of each project and generate invoices using the customer database? Task management & shared calendar – As everything will be integrated, you can link tasks and calendar events to projects, to customers, assign them across all teams and always have a real-time information about the activities in your company. Detailed reports & customizable dashboards – In addition to Sales reports, you can create reports and separate dashboards for each department, team, person or use case you want. Have a complete overview of every aspect of your business. The time spent shuffling between tools and double entries will be focused on more important tasks. You will prevent some serious headaches while implementing only one comprehensive software instead of introducing 4 different tools to your team. Your workflow will be more fluent and every team member will have the necessary overview of what’s going on across the company. The key takeaway and anticipated answer to why you shouldn’t use CRM software is – that you probably need more than CRM software and you no longer have to figure out how to make 4 different tools work together. 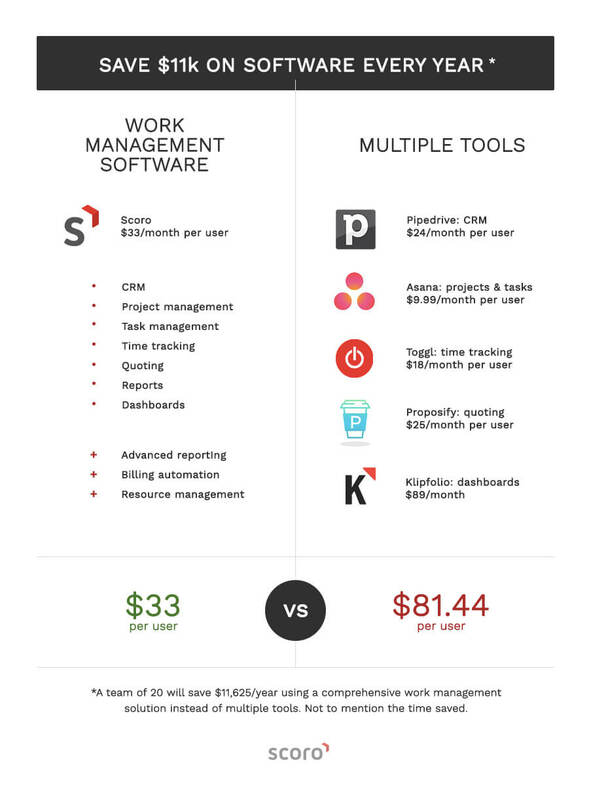 Instead, look into comprehensive work management software to see how it could save you both time and money. With over half of your competitors already using CRM software – be one step ahead and make a choice to work smarter not harder. As always, we’d love to hear your thoughts on using Work Management and CRM Software in your business. Leave your comments below!